Disclaimer: This product was provided by the company for review. Following is an honest opinion regarding the product. 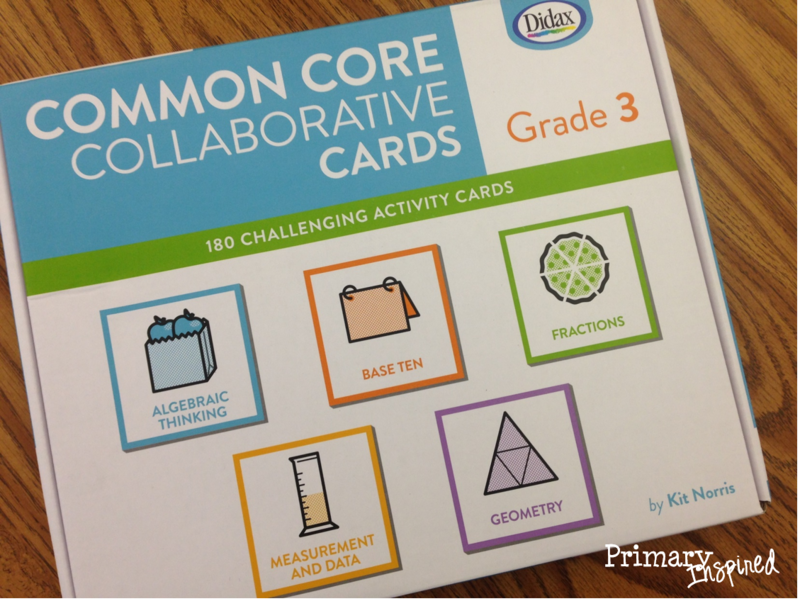 Didax let me try out this set of Common Core Collaborative Cards....& I was hooked the minute I opened the box! Oh my gosh, y'all! This is just all kinds of wonderful! For each solution/answer, there are 4 different cards that model that solution/answer - each in a different way. The picture to the right shows an example: the two kiddos sitting next to each other have cards that model 3/4. Each card also has a role: Discussion Leader, Resource Manager, Recorder, Team Captain. I LOVE that they're already built in! 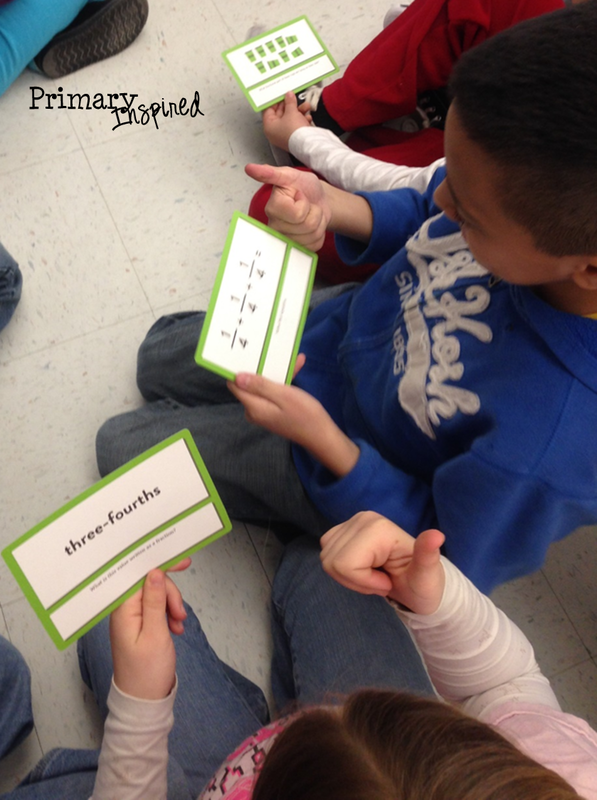 Being able to talk about their thinking in math is SO important! And having these roles ensures that each kiddo in the group has a more equal voice than they otherwise might have. There are several ways you could use this in your classroom, but here's how I used them. I mixed up sets of the cards & passed them out. Kiddos' first step was to determine the answer for their card, then give me a thumbs up (see the two kiddos in the pic?). When I saw that most had their thumbs up, I gave them a signal to start looking for the other members of their group. They knew that they needed to find 4 people who had the same answer. After gathering all four together, they used the roles that were on the cards to discuss & plan a presentation to the rest of the groups. Oh my word!! They LOVED it! It's not often that you hear kiddos say things like "That was FUN! ", "Can we do that again? ", "Can we do these every day?!" in math! Especially not when the activity is rigorous & requires some higher level thinking.....& that's just what these Common Core Collaborative Cards do! 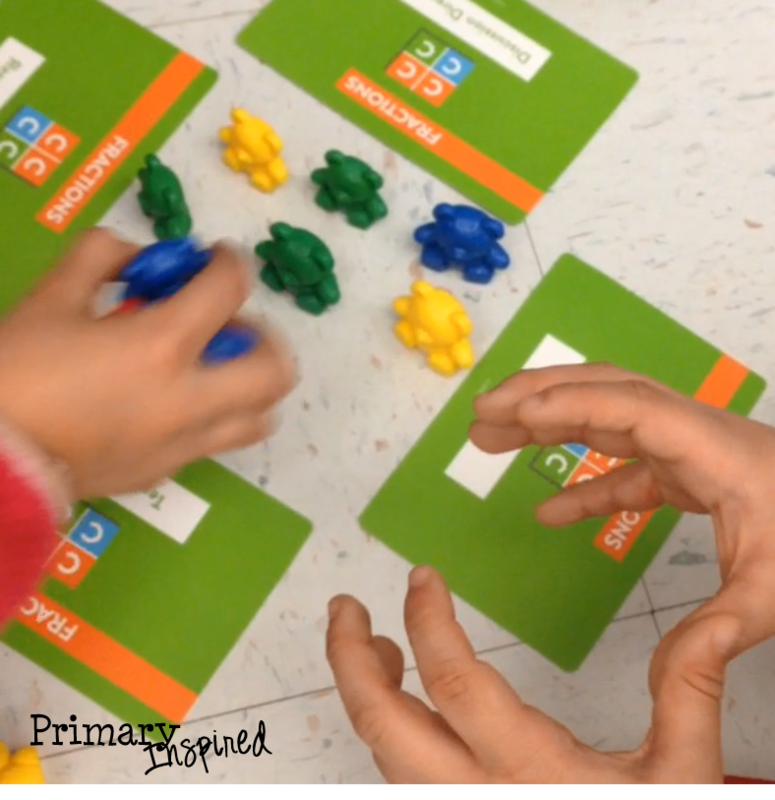 That's one of the reasons I was so excited to try these out....it's not often you come across an activity or strategy that explicitly encourages higher level thinking, collaboration, and verbalizing mathermatical thinking! I love how well it not only supports those Math Process Standards like "construct viable arguments and critique the reasoning of others", but gives kiddos continued practice with those skills! I mean, I was thrilled with the math talk that I was hearing! I mean, seriously....check this out! I am just so in love with this product! It's been so effective in my classroom, & my kiddos are loving it! I am thrilled to tell you that Didax is giving away a Class Set for one of YOU!